Reynolds Avenue, before the 95th New York and 6th Wisconsin Infantry Regiment monuments were moved away from the road and closer to the railroad cut. 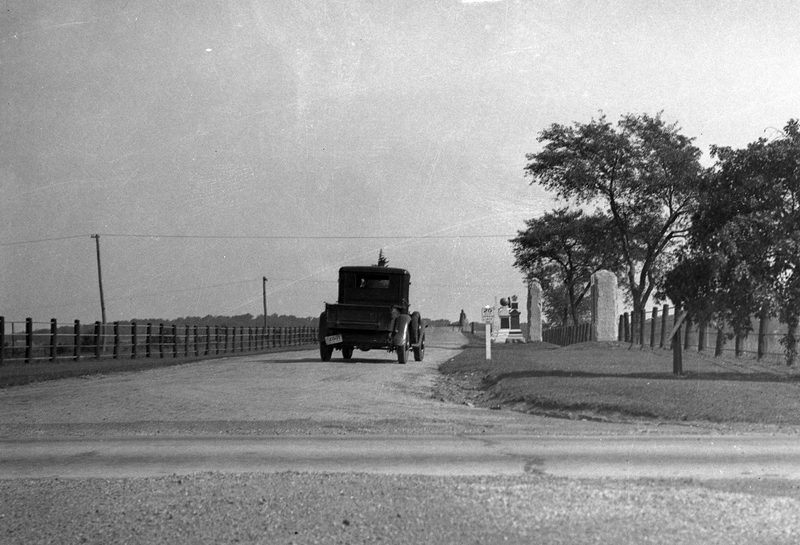 The Wadsworth First Division marker is visible in the right-hand portion of this shot. This view was taken facing northeast circa the 1920s. Courtesy of the the Center for Civil War Photography, which has more than 1,000 historic Gettysburg Park images like these on their Flickr. Sometime during the night of Thursday, November 11, and the morning of Friday, November 12, the marker to Brigadier General James Wadsworth’s First Division was toppled. 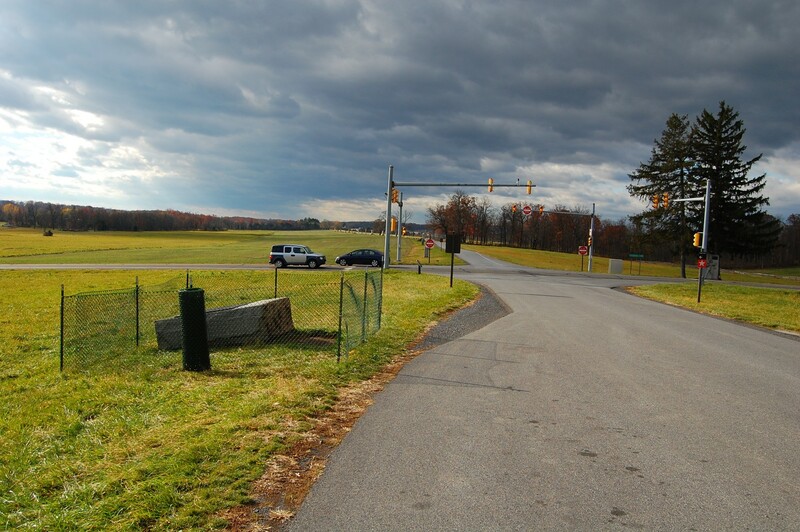 The marker has not been returned to its erect position and green protective fencing has been installed. 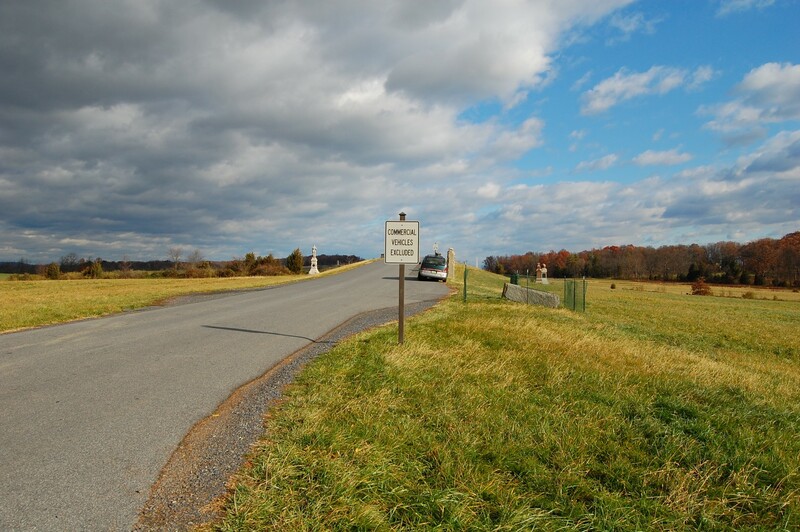 The National Park Service Ranger who originally noticed the marker had been toppled remarked that he hoped the Park had the necessary equipment to right the monument, so it wouldn’t be another “Hunt Avenue situation.” This view was taken facing northeast at approximately 9:45 AM on Wednesday, November 17, 2010. 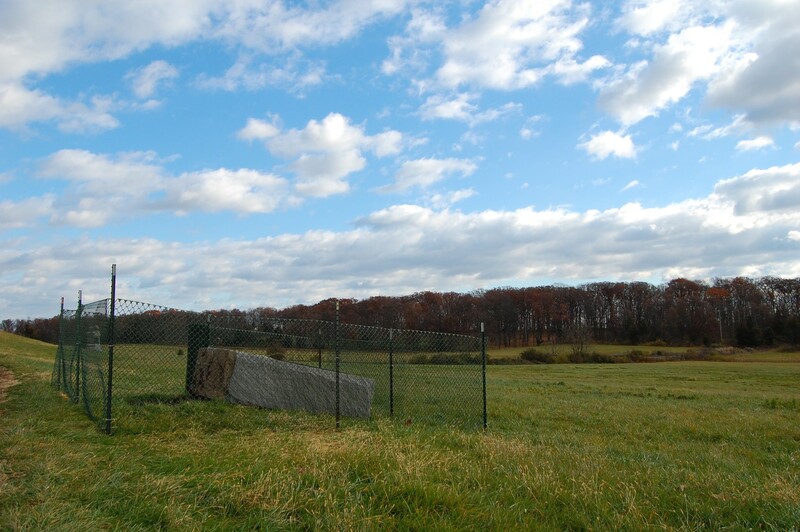 Of course, the fencing sadly seems to indicate that the monument could be flat on its back for some time longer. The question still remains — how did the monument get knocked over? This view was taken facing southwest at approximately 9:45 AM on Wednesday, November 17, 2010. 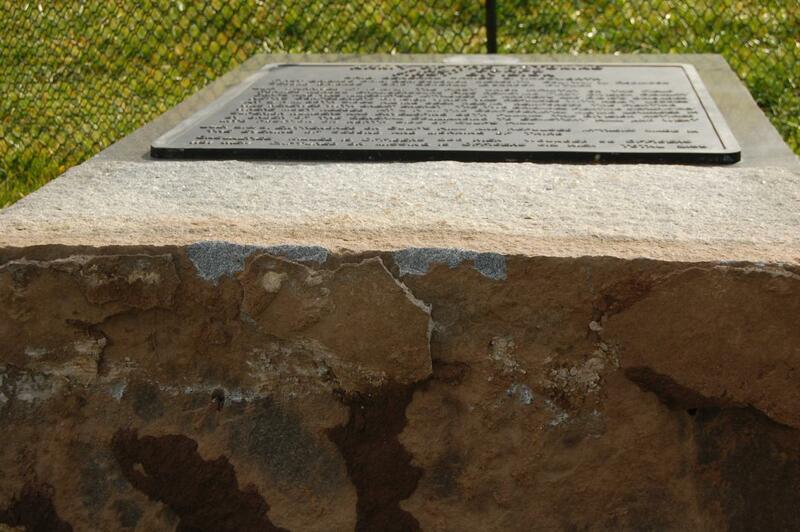 The latest speculation we’ve heard refers to the two “fresh” gray marks visible here at the base of the marker. Some folks have said that these two marks were made by crowbar (or similar tool) to pry the monument free and push it over. This view was taken facing southeast at approximately 9:45 AM on Wednesday, November 17, 2010. Of course many still insist that it was struck by a vehicle. 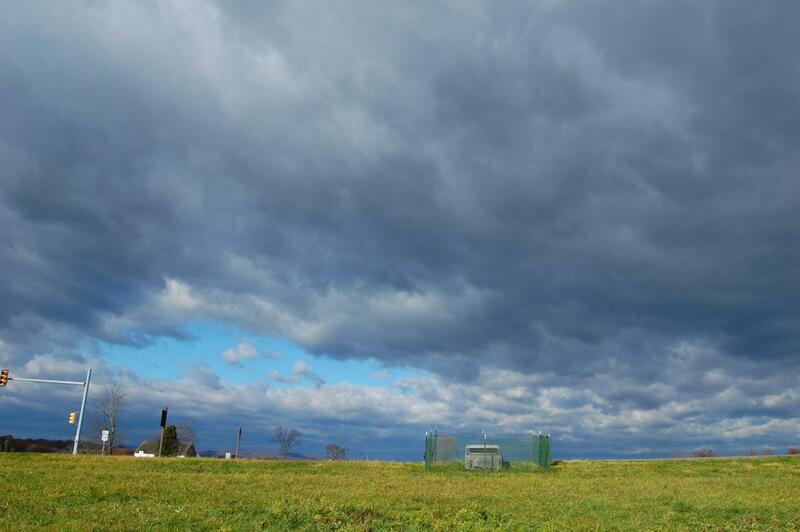 This view was facing northeast at approximately 9:45 AM on Wednesday, November 17, 2010. Either way, it is unfortunate that the marker is still in this position a week later and we hope it is righted soon. This view was taken facing northwest at approximately 9:45 AM on Wednesday, November 17, 2010.